We have sold literally millions of these hose hangers since patenting the design because they work incredibly well and are a great value. 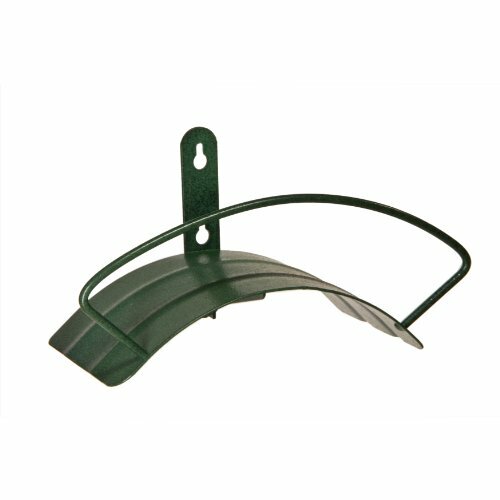 The Yard Butler Deluxe Wall Mount Hose Hanger eliminates crimps, kinks and tangles, keeping the yard cleaner and neater while extending hose life. It also works great for organizing electrical cords, air hoses, or anything else that needs to be coiled for storage. Heavy duty bracing prevents sagging. Now, NEW bright colors and decorative designs that make your yard and garden more beautiful so you can really make your outdoor space your own.